The sports facilities in campus focuses on its main objectives to help boost the sports spirits as well as promotes healthy living among the students. Situated on the west side of campus – UTM Swimming Pool is a 25 meter, 8 lane pool with a 12′ deep diving well. We have a broad range of activities to suit most needs. These include public swims, swimming lessons, aquarobics, over 50′s sessions, adult and child and party hire etc. 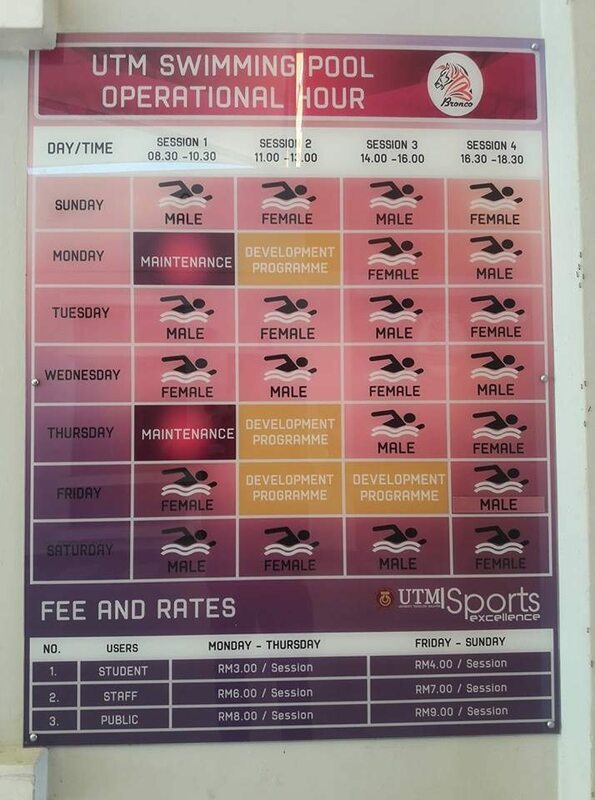 All of our sports facilities are managed by First Come First Serve basis.